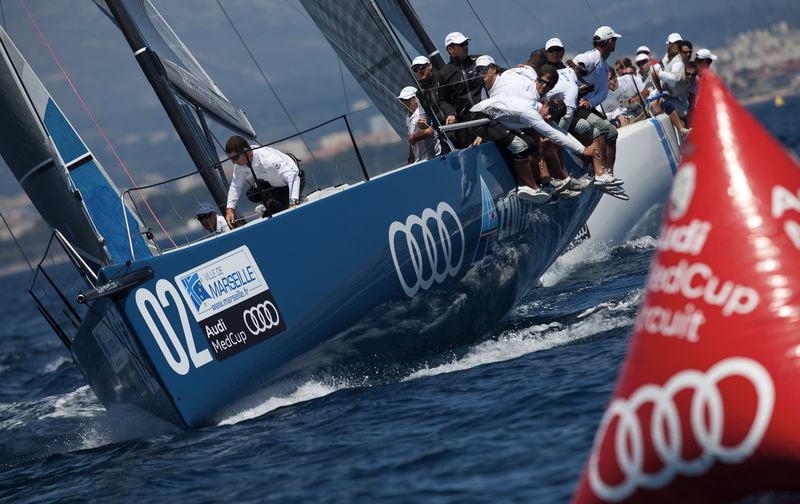 There was a whiff of frustration for teams competing at Audi MedCup on Marseille’s Rade Sud today. 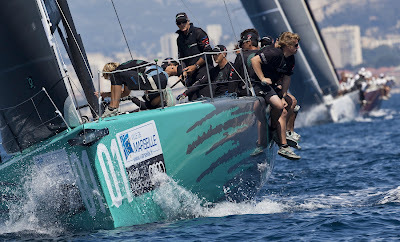 But the delays and light winds didn't bother Quantum Racing who have emerged as leaders after the first day of racing. 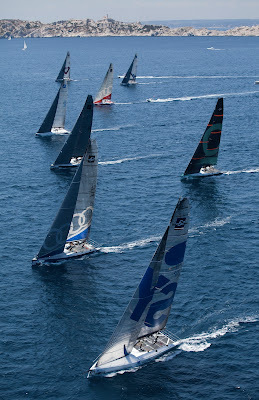 The day's first race finally got underway in 7-11 knots after a 90 minute delay. 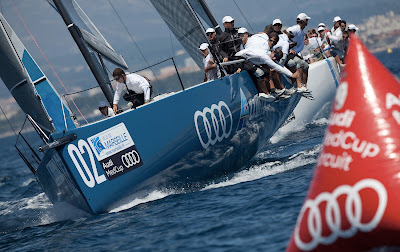 Audi Azzurra were on fire, flying off the line like a rocket with a noticeable speed advantage over Quantum and Synergy. 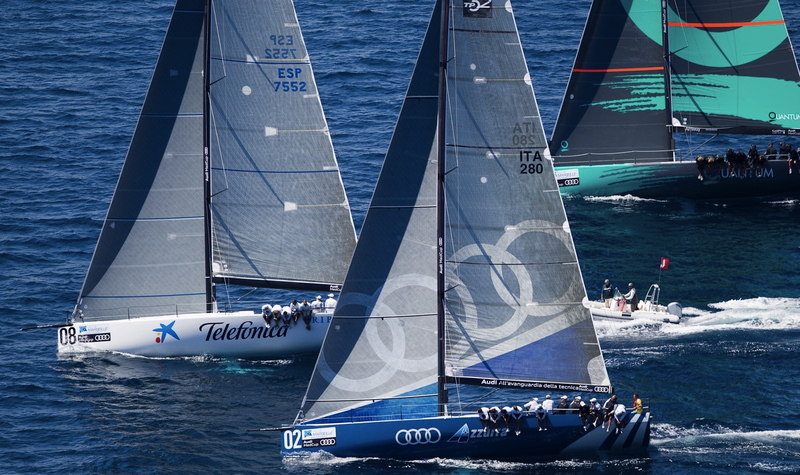 The Italians, skippered by Guilermo Parada (ARG), led at the first turning mark and from there extended their lead over Synergy. 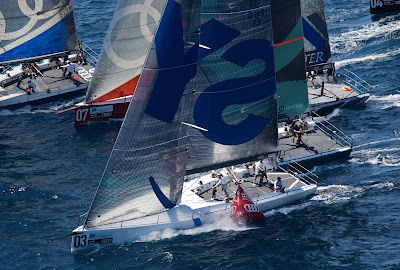 Quantum Racing looked to be in trouble as they slowed off the start line, but a clever clearing tack into wind pressure enabled them to get back into the match and they finished fourth behind Bribon. 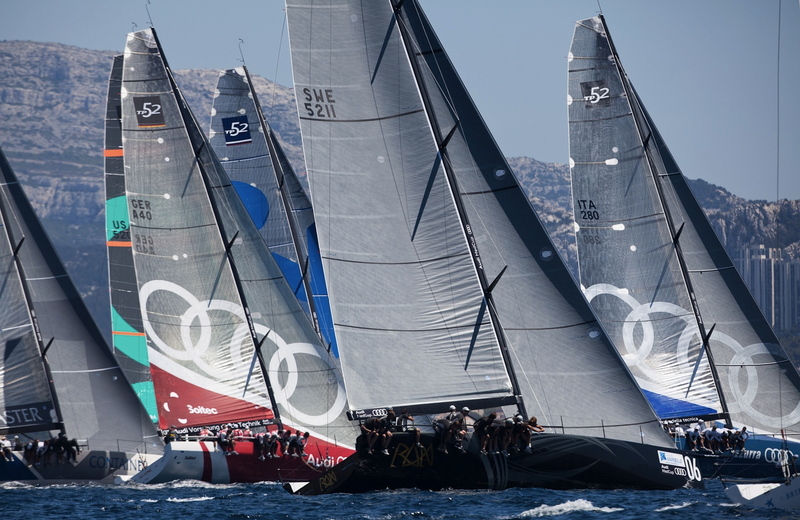 After another delay the second heat was raced in lighter conditions of just 5-7 knots. 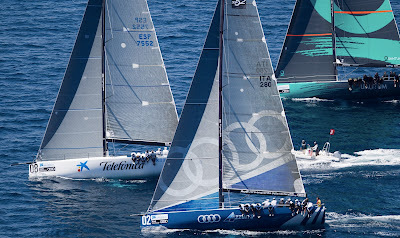 Audi Azzurra Sailing Team, found themselves compressed and slowed away from the gun while Quantum made a smart early move to the left and gain on the final approach to the windward mark where they squeezed inside Bribon. In the fading breeze and stunning evening sunshine the two lead boats opened up over a duel between Synergy and Container. 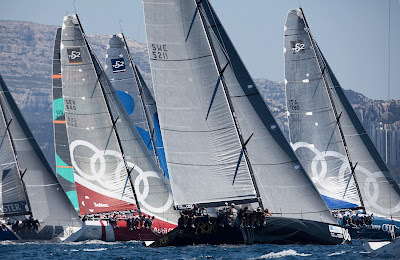 The Russian flagged team had the advantage at the final turn but during the hoist their spinnaker snagged and exploded allowing Markus Wieser and his German team through to take third. Quantum's fourth and first places position them on top of the Marseille Trophy leaderboard, ahead of Bribon second only on countback.